Dr Spoor is known by his fellow professionals the world over for his pioneering work in oculoplastic, orbital and neuro-ophthalmic surgery. He is especially noted for his outstanding work in optic nerve surgery and innovative treatments of patients with optic nerve dysfunction. His surgery is respected for its excellent results and for the innovative ways he has personally modified procedures for increased effectiveness. 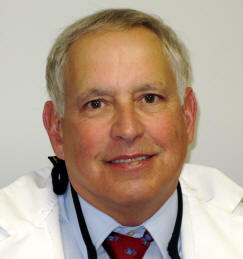 His practice is limited to oculoplastic, orbital and neuro-ophthalmic surgery. It’s important to Dr Spoor that he spreads his talents and the results of his pioneering research in various techniques, procedures and disorders in order to benefit the most people that he can. Over the past 25years of practice, he has trained scores of resident physicians, lectured to hundreds of medical students and trained 17 American and 3 foreign fellows in a year long, one on one preceptorship. His fellows have gone on to serve their patients throughout the world with innovative treatments. 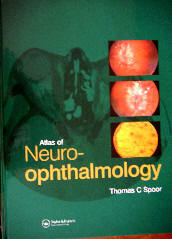 Dr Spoor has performed more optic nerve surgery than most anyone in the world. He has modified the once formidable task of optic nerve sheath decompression into a 20 minute procedure performed as an outpatient under local anesthesia. He has published and presented to national and international audiences the results of his extensive experience treating patients with these potentially blinding disorders. 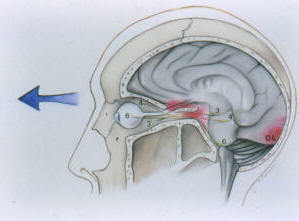 Patients with papilledema and visual loss due to pseudotumor cerebri and brain tumor benefit most from this procedure. This procedure may also offer salvation of visual function in patients with central retinal vein occlusions. Dr Spoor’s results operating on patients with this otherwise untreatable condition have been very gratifying. 16 year old boy with severe papilledema and visual loss before and after optic nerve sheath decompression. 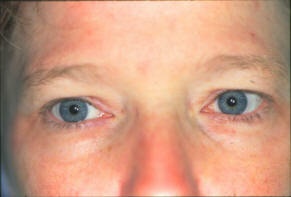 Note the marked decrease in the optic disc swelling and the improved visual function only 10 days after surgery. 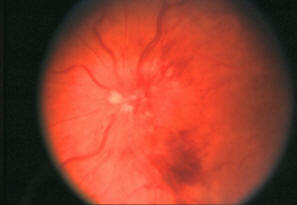 A patient with a central retinal vein occlusion and markedly decreased vision(20/200). 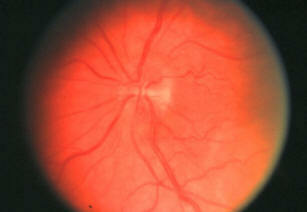 Three months after optic nerve sheath decompression the fundus is normal and the visual acuity has improved to 20/20. Dr. Spoor was one of the first fellows training with Dr John S. Kennerdell (1978-1979) to practice orbital and neuro-ophthalmic surgery. Since his fellowship years, Dr Spoor has acquired extensive experience in treating patients with a wide variety of orbital disorders ranging from thyroid orbital disease to removable orbital tumors. Few surgeons have done more successful orbital surgery than Dr Spoor. 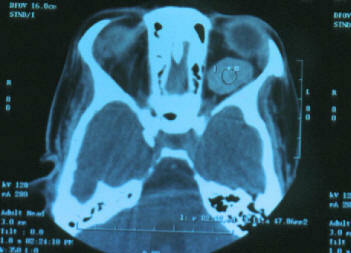 CT scan demonstrating a large encapsulated orbital tumor, safely removed from a one eyed patient. 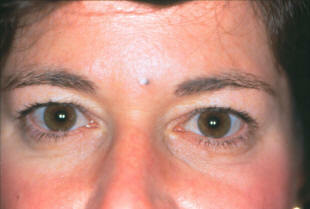 Appearance of patient one month after successful removal of orbital tumor. Over the past 20 years, Dr Spoor has devoted a significant portion of his practice to treating patients with neuro-ophthalmologic sequelae of closed head injuries. These patients may experience visual loss due to optic nerve dysfunction, double vision, blurry vision, dry eye from medications and constant headache and neck spasms. Dr Spoor’s Innovative treatments with Botox injections, punctal occlusion and timely surgical and medical intervention have resulted in a large following of very happy patients who had been previously neglected by other practitioners. As the head strikes an immovable object the skull stops; but the brain keeps moving. The shearing forces may cause decreased visual function by damaging the optic nerve, optic chiasm or occipital lobes of the brain. 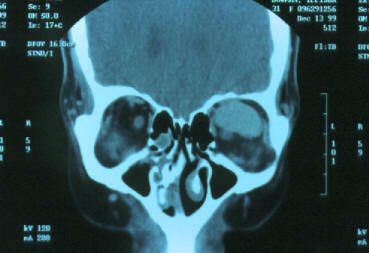 Dr Spoor’s interest in dry eye and tearing problems evolved from his experience with patient’s closed head injuries. 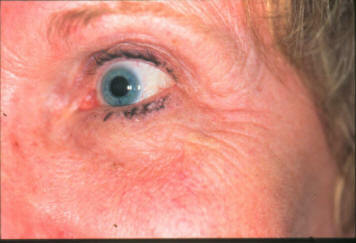 These patients often complain of ocular irritation, intolerance to light, tearing and dry scratchy eyes. 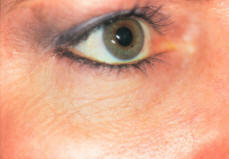 In efforts to resolve these issues, Dr Spoor has popularized the use of Lissamine green vital stain to diagnose and document surface abnormalities on both the eye and the eyelids. This has greatly facilitated diagnosis and management of dry eyes, tearing and ocular irritation caused by floppy eyelids. 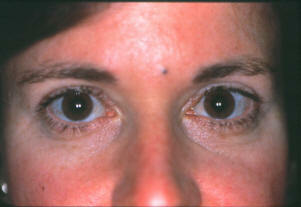 Dry eye diffuse stippling of the exposed conjunctiva is diagnostic of moderate dry eye. 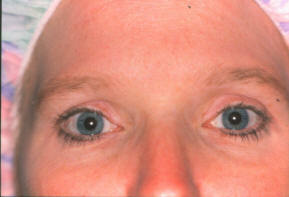 If the cornea stains severe dry eye is present. Dr Spoor has shared his expertise with other ophthalmologists worldwide by teaching a course at recent American Academy of ophthalmology meetings on the management of dry eye and tearing. 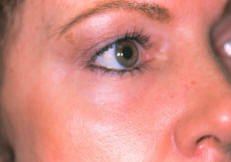 The “bread and butter” of oculoplastic surgery is functional and cosmetic eyelid surgery. The oculoplastic surgeon has the knowledge and ability to alter all the components of the upper eyelid to obtain the desired cosmetic and functional result. Over the years Dr Spoor has successfully performed thousands of functional and cosmetic surgeries on the upper and lower eyelids. The sun is your skin’s worst enemy. If you are not willing to commit to being sun smart, do not waste time, effort and money on facial rejuvenation medications or procedures. Sun smart does not mean sun avoidance. A visor, sun block of SPF 15 or greater and a little common sense are really all you need to be sun smart. Look at the skin on your face and the skin on your bottom. They have the same parents and the same number of birthdays, the only difference is sun exposure over the years. 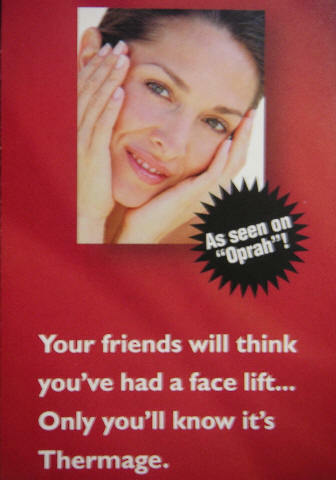 You do not have to pay a huge amount of money for a face lift to enhance your self esteem and self image. Many patients can improve their self-esteem and self-image by making minor changes in their appearance and enhancing their present attributes. 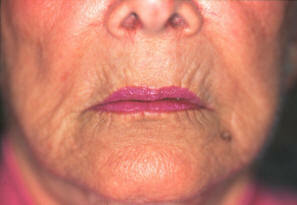 Botox injections are safe and effective for decreasing wrinkles due to contraction of underlying muscles (fig ). 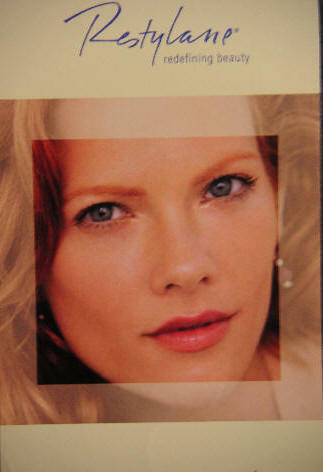 Botox is a potent neurotoxin that weakens the underlying musculature and decreases the overlying wrinkles. Dr. Spoor has been using Botox for over 15 years and has extensive experience using Botox for a large variety of cosmetic and functional conditions ranging from wrinkle reduction to migraine headaches and neck spasms. 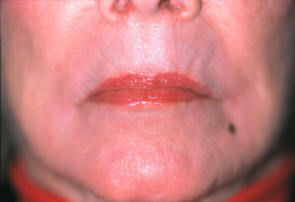 Patient with dynamic rhytids (wrinkles) before and after treatment with Botox injections. Dr Spoor was one of the first physicians in the midwest to introduce and popularize facial resurfacing with the erbium-yag laser. 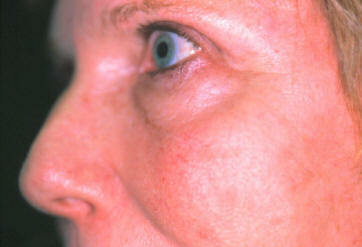 He is now offering non-ablative wrinkle reduction with the Diolite 532 laser. 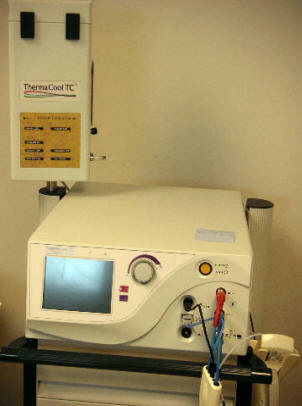 This laser also effectively removes abnormal blood vessel and pigmented lesions from the skin. 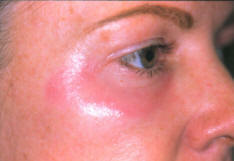 Dr. Spoor has recently published several papers describing his extensive, successful experience treating pigmented and vascular lesions with this type of laser.